If you were wondering what you should do this weekend, it’s this. Buy it, curl up with some comfort food and a blanket, and dive in. Callie is a seventeen year old girl that commands attention from page one as you get a glimpse into her life on the run – constant homelessness caused my her mom’s need to run and only enough possessions to fill a small thrift store suitcase. Heartbreaking. And then a routine traffic violation turns into a life-changing event for Callie and her mom, and Callie is face to face with a father she’d grown up thinking didn’t love her and the sad reality of what life with her mom has been in comparison to what life with her dad could have been. Through the overwhelming and in-your-face love of a larger than life Greek family, an incredibly hot and somewhat mysterious guy, a rediscovered preschool best friend, and a seriously cute community with a seriously cool book store, Callie is able to find the healing that she needs to move on with the decision she now faces: her mom or her dad? By the time I finished this (which was on the same day I started because I just couldn’t stop), there were happy tears in my eyes and a good book hangover was in full force. I mean, I don’t give out many five star ratings on Goodreads, but I didn’t even hesitate for this one. I just loved it. And I also really wanted to travel to Tarpon Springs, Florida for some touristy sponge shopping and authentic Greek food. Trish Doller has set herself pretty firmly on my list of must-read authors with this one. 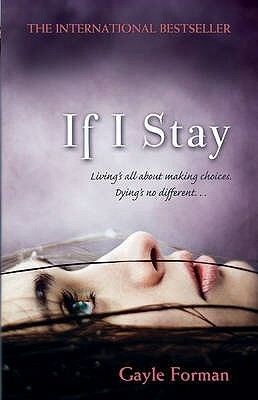 She deals with heavy topics in this YA/NA novel without making it depressing. She writes a raw, swoony romance that feels real, yet isn’t the saving grace of the protagonist – the romance isn’t what makes Callie ok, it just plays a part. That’s refreshing. 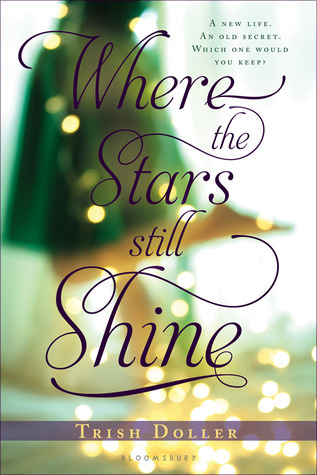 From the cover to the first page to the author’s notes in the end (which, honestly, I usually skip but didn’t this time), Where the Stars Still Shine is enthralling and charming and beautiful. Click here to find it on Goodreads and here to find it on Amazon. An Interview With Corey Ann Haydu! 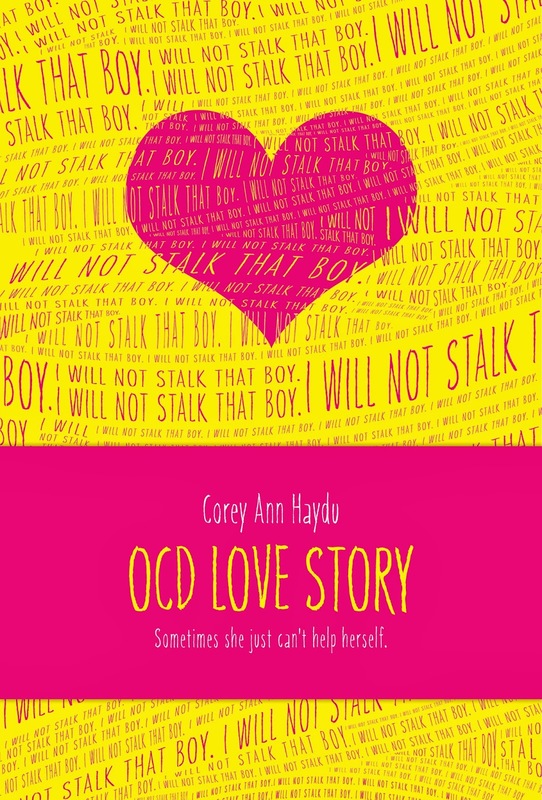 Last month, I shared with you everything I loved about Haydu’s debut novel, OCD Love Story, in a blogpost you can read here. Since first reading it, Bea is a character that has stuck with me, and I’ve actually used her as a topic and example in my classroom already this year. OCD Love Story is a unique book full of characters that demand to be remembered. 1. What made you decide to get into young adult fiction writing? In 2009 I made a major career change, and left acting to pursue writing. I’d been writing a long time, mostly short stories and plays, but never had considered novel writing or YA fiction. In order to get some experience and commit to my big life change, I took an internship with an agency. The internship I landed happened to specialize in young adult literature. I had to get familiar with the YA and middle-grade scene pretty quickly, and I truly fell in love. My boss at the time handed me The Hunger Games, Savvy, and Little Brother. I was blown away. I still sort of can’t believe how lucky it was that I happened into young adult literature, which I know I was meant to write. Funny how small things, like saying yes to an internship, can really change the shape of your life. I was also applying to graduate schools at the time, and I applied to both classic Fiction MFA programs, as well as MFA programs that had specializations in Writing for Children. I surprised myself when I chose to forgo the more traditional MFA in Fiction that I’d always wanted to accept a spot in The New School’s Writing for Children program. Best decision I ever made. I wrote OCD LOVE STORY during my second semester at school! 2. OCD Love Story is your first novel published. What about Bea made her story the first one you wanted to tell? I really wanted to write an unconventional love story. I felt there was space for a book about how complicated falling in love is when you’re deeply struggling with your own issues. I’ve been pretty open about the fact that I’ve struggled a lot with anxiety, and when I started learning about OCD I really felt a kinship with the disorder, which is an anxiety disorder. I felt I could get into Bea’s skin and write from a very raw and honest place. I also know, from experience, that dealing with an anxiety disorder and new, exciting, overwhelming feelings of love at the same time is a tense, joyful, terrifying, exciting, confusing combination. Everything I personally want in a love story! 3. What message are you hoping your teenage readers take from it? I hope teenagers gain a greater understanding of OCD, of anxiety disorders, and from mental illness in general. I hope they gain compassion if they are unfamiliar with anxiety disorders, or feel less alone if anxiety is something they themselves are dealing with. I couldn’t ask for much more than that. I don’t write with a message in mind, but compassion is a place I write from and I think is a great quality in a reader, too. 4. Did you set out with the intent to write a story with an unreliable narrator, or did it just happen because of who Bea is? I think all narrators are unreliable, if they’re three-dimensional. Or at least I think mine will always be. I mean, we’re all unreliable narrators! A first person narrator is always only telling their side of the story, and as far as I know no one has a totally clear, perfect perspective on life. I’m not sure Bea’s any more unreliable than any other first person narrator, her perspective is just a little less familiar to some readers. But she’s quite honest about her feelings, and even honest about the fact that some of her feelings are probably unfounded. She’s self aware, and that’s as reliable as any of us get, I think! 5. Do you think the cover of the book represents Bea’s story well? I really do. I’m deeply in love with my cover. I know that for some readers the difficult subject matter doesn’t quite match with the bright happy color. But Bea herself isn’t a “dark” character in my opinion. She has a lightness and a sense of humor. Her heart is big and open and hopeful. I think Bea is quirky (do people totally hate that word these days?) and the cover gives a sense of that. I also like that the cover may bring in readers who don’t usually read about things like anxiety or therapy or rocky romances. I’m glad I’m getting readers who are uncomfortable with the subject matter. I like surprising readers. 6. I’ve read the blurb for your next book, Life By Committee, and I can’t wait to read it. The premise sounds fascinating. Are there any hints or teasers you’d like to share with readers? Oh I’m so excited about this book (and really nervous about it too!). My narrator for LIFE BY COMMITTEE, Tabitha, is a teen who is struggling with a very particular brand of loneliness. That loneliness and deep desire for connection leads her to enter into a very seductive online community. She makes a lot of mistakes, of course, and the community turns a little dangerous. It’s a book about secrets, loneliness, the meaning of community, and the desire to have an exciting, meaningful life. It’s set in Vermont, where I spent a lot of time when I was growing up, and Tabitha and I have a lot in common, so I’m particularly close to this book. It’s similar to OCD LOVE STORY in some ways, I hope—honest, complicated, messy—but it’s also a little faster-paced, and has a lot of twists and turns and shocks, I hope. 7. I think the Former Self Project is great – it even kind of makes me want to dig up any old diaries I can find. Why did you decide to share your teenage journal entries online? What do you hope your audience will take from that? How has it helped you as a writer? Thank you! I started my blog, Former Self Project (www.formerselfproject.blogspot.com) around the same time as I started working in YA literature, funny enough. Although the impetus was unrelated. I was experiencing a “quarter-life crisis” in my mid-twenties, and I was sort of interested to see how far I’d come… and maybe how far I HADN’T come as a person. I’m lucky to have dozens and dozens of journals, starting at age 9. It’s truly a gift, and also humiliating and hilarious. I thought maybe I could learn something from posting and commenting on these old entries. It’s been such a joy to have people reading my old diaries and laughing with me (or at me). Plus it’s cathartic to share something so embarrassing and to let it go in that way. I hope more people check it out! I really hope you guys all check out OCD Love Story. It’s available from Barnes and Noble, Amazon, and your favorite local bookstores as well. And thanks, Corey Ann, for being with us here at Pimples, Popularity, and Protagonists today! 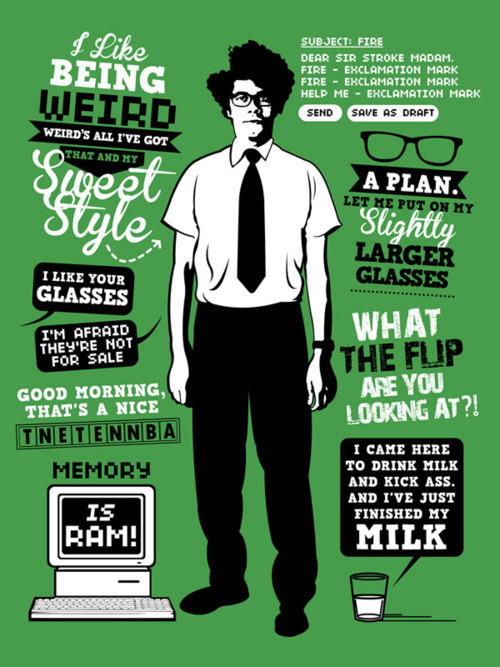 Friday Favorite: The IT Crowd! I used to think British TV was weird. I still do. But in the case of The IT Crowd, it’s an amazing kind of weird. Basically, it centers around three people who work in the basement IT department of a big corporation. The company isn’t important. The characters are. Not only are they well-written and interesting, they are some of the funniest characters I’ve ever encountered. Roy and Moss, your stereotypical, socially awkward computer geeks, work in the department alone until Jen, a woman who lied on her resume and has absolutely no clue about anything computer related, is hired as their supervisor. My husband and I have watched every episode multiple times (you can find the entire series on Netflix, and tons of episodes/scenes on YouTube) and they just never get old. It’s like a British Seinfeld. Classic comedy. So go search for it on Netflix and watch it. Yes, even teenagers, because while not a specifically teen show, it’s freaking hilarious. I seriously dare you to watch it and not laugh, which is absolutely impossible (especially in the one titled “The Work Outing”). For now, though, enjoy his infographic of the very best character ever: Maurice Moss. This review was originally published on She Reads, where I write guest YA/Teen Fiction reviews. First of all, let’s take a second to love this book cover. There’s not even an ounce of musical talent in me, and yet I look at this and I want to BE that girl. I don’t know what it is, and I don’t even love country music, but… it’s just too cool. In Dirty Little Secret, Jennifer Echols (who’s quickly becoming one of my favorite authors ever) takes us on a trip to the heart of Nashville’s music scene to watch the heartbreakingly beautiful beginnings of a great romance. Bailey, an eighteen year old with unbelievable fiddle-playing talent, has been sent to live with her grandfather while her parents tour around with her younger sister, Julie, who was picked over Bailey for a recording contract. As part of Julie’s coming rise to fame, their parents and the recording company have essentially asked Bailey to give up what she loves best – playing music. When Bailey meets Sam, who just happens to be both devastatingly handsome and also the front man of a band in need of a fiddle player, she can’t quite resist being pulled back into the music scene. The resulting story is a fascinating one full of characters I’d love to spend a week with, enjoying the Nashville music scene and hearing what must be some excellent music. Echols is a master at writing romantic relationships – from the moment the two characters meet each other, discover the chemistry, all the way up until they’re finally actually together – you feel like you’re there with them. Like you’re a part of the story instead of just watching it. Echols writes romantic dramas (like this one) for MTV Books and romantic comedies for Simon Pulse. She also writes adult novels, one of which is the beginning of a series involving PR agents for celebrities behaving badly, called Star Crossed. 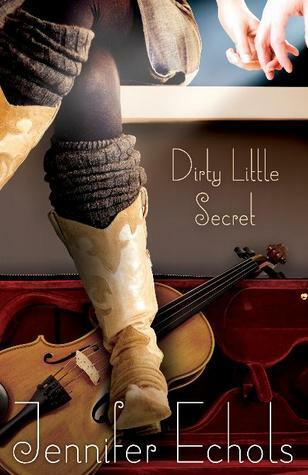 No matter which Echols book you pick up, you’ll enjoy it, but I can’t recommend Dirty Little Secret enough. It’s definitely my favorite of hers so far! Friday Favorite: MJ Makes The Twitterverse Fun. Hands down my favorite YA author presence on twitter is Maureen Johnson. I felt this way even before she live-tweeted the dramatic misfortune of being stuck on a delayed flight a few months ago, but that totally sealed the deal for me. There’s nothing much better than airplane selfies and disgruntled passengers for twitter comedic gold. Go follow her. Trust me. She’s good for at least one laugh a day. I’ve been meaning to read this for a very long time. For some reason, this cover has fascinated me, but it took me forever to actually get it. Maybe it was because I had a feeling it would be an emotional one, and it definitely was. In If I Stay, Mia and her family get into a terrible car accident. Mia finds herself on the verge of life and death and feels like she’s making a choice whether to stay on earth and live or to go ahead and move on. Throughout the book, we see flashbacks of Mia’s life before the accident through which we get to know her character and see all that she has to live for… and all that was lost in the accident. We also see snapshots of what’s happening in the hospital as Mia decides whether or not to fight for her life – the people that come to see her, the care of the nurses, the helplessness she feels. It’s kind of hard to explain what I didn’t like about this, but I think it boils down to the fact that it was overwhelmingly sad throughout the whole thing. I mean, no matter what, Mia’s life is radically changed. She’s either dead or will be dealing with the death of family while she struggles to recover from the accident. What I do like, though, is that there’s a prevailing hope that infiltrates the sadness. We see a beautiful and loving family full of rich characters. We see a best friendship that any teenage girl would be thrilled to have. We see a high school romance that just makes you smile with its sweetness and realistic, honest portrayal. Overall, the emotional roller coaster that is If I Stay was definitely worth the read. It would be a great book to cuddle up with on a rainy weekend and have a good cry over, as we women sometimes need.